Clinic Synopsis: Tap into crowd-funding websites like Kickstarter, IndieGoGo, and GoFundMe to fund your next project. Using his past three projects as examples, Eldridge will offer insight in how to create your project so that it will attract the attention of your audience. Maintaining the excitement of your project to the deadline will also be covered, as well as what to do when the project has ended. 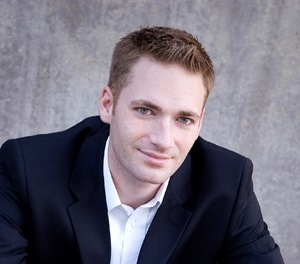 Clinician Biographical Information Andrew Eldridge is a percussionist based in the Dallas-Fort Worth metroplex where he is an Adjunct Instructor of Percussion at Texas Wesleyan University. He also serves on the Lone Star Wind Orchestra Board of Directors, in addition to performing with the group as a section percussionist. Andrew received his Bachelor of Music from Texas A&M University – Commerce and his Master of Music in Percussion Performance from the University of Illinois - Urbana-Champaign. Andrew is currently completing work towards the Doctorate of Musical Arts at Texas Christian University. He was awarded Most Influential Teacher for 2011 while teaching as Director of Percussion / Assistant Band Director at Rockwall-Heath High School in Rockwall, Texas. Mr. Eldridge has also held full-time staff positions at Birdville High School, North Richland Hills, Texas; Kaufman High School, Kaufman, Texas; and Naaman Forest High School in the Garland Independent School District.